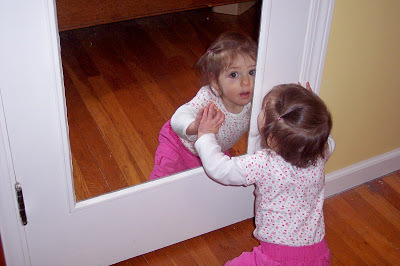 And not long after playing she realized she could watch me in the mirror without turning around! 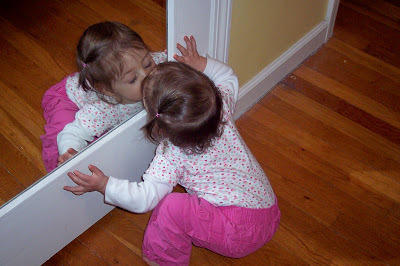 Seeing her kiss herself in the mirror was pretty entertaining, especially because she did it several times. I love that stage, when they are always discovering new things. So fun!